Today is Cupcake Day; the biggest bake-off (and eat off!) in the Southern Hemisphere that helps raise funds for the RSPCA; and in doing so increases the awareness of the fight to prevent animal cruelty. 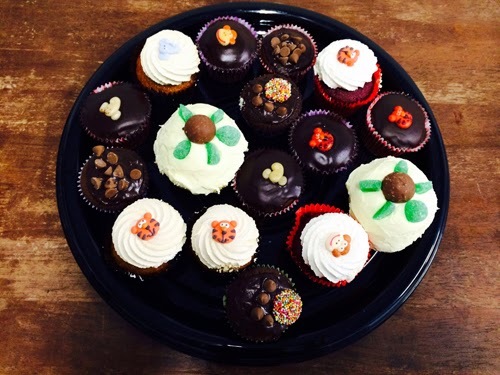 A big thank you to team VetShopAustralia, who baked up a storm for animal rights. Also to all the RSPCA CupCake Day fundraisers - good luck in achieving your goals today and make sure you grab a sneaky cupcake or two for yourselves; you deserve it! $350 will keep an RSPCA Inspector on the road; fighting animal cruelty. If you would like to make a donation to the VetShopAustralia team you can do so by clicking here. If you are a Sunny Coast local, pop in and see us at our Forest Glen warehouse (5/42 Owen Creek Road; down the road from Kunara Organic Marketplace) and donate in person to support this amazing cause. From the VetShopAustralia team our final thanks go out to our friendly local community; who donated generously to support our efforts.